Our pigs graze every day, moving through the property at a good pace, eating every inch of sod. We get restaurant leftovers, foodstuff scheduled for the trash, from a variety of places. 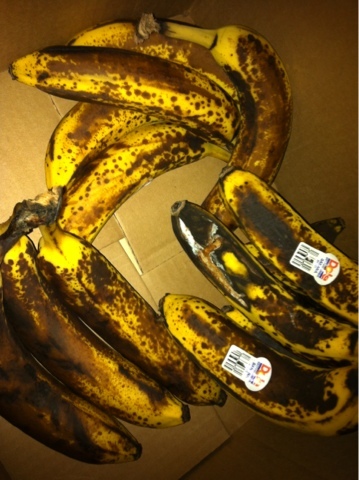 The other day a bunch of brown bananas was offered to us, along with the question "would you like those packed up by themselves?" Oh my! 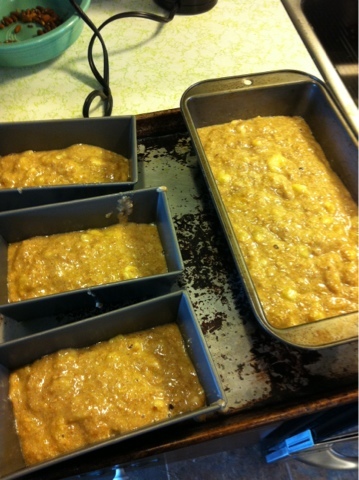 Visions of banana bread! Our freezer is being filled with loaves of big and little sizes. Yeehaw Farm flour, our eggs, organic sugar and pig bananas. Delicious for us and plenty of other stuff for the pigs. Each week there is more than a garbage can of food pulled out of the waste stream and redirected to the pigs. And in this case us.